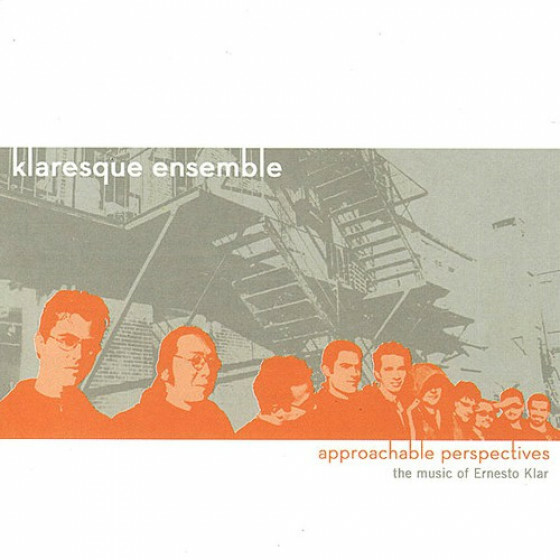 The Klaresque Ensemble was founded in 1996 by NYC-based composer Ernesto Klar out of the desire to concentrate his creative work in a chamber ensemble setting. Ernesto Klar's music approaches different perspectives, and avoids definitions such as jazz, classical, popular or ethnic. "Composer Ernesto Klar's band is an example of the uniquely personal and promising units that can emerge from the ranks of creative young musicians. [They] have both the interpretative and improvisational skills needed to realize Klar's blend of chamber music delicacy and coherent free-form collage... where concepts like classical and jazz really do coexist", according jazz critic Bob Blumenthal, from the Boston Globe. David Wildman, from the Boston Globe, says, " Composer Ernesto Klar's chamber group produces music that, like its architect, is serious, creative, and unpredictable." Recorded in Boston 1999-2000: Mastered in NYC 2003.